This sweater is knit with a textural wool-free yarn that's ideal for sensitive skin. 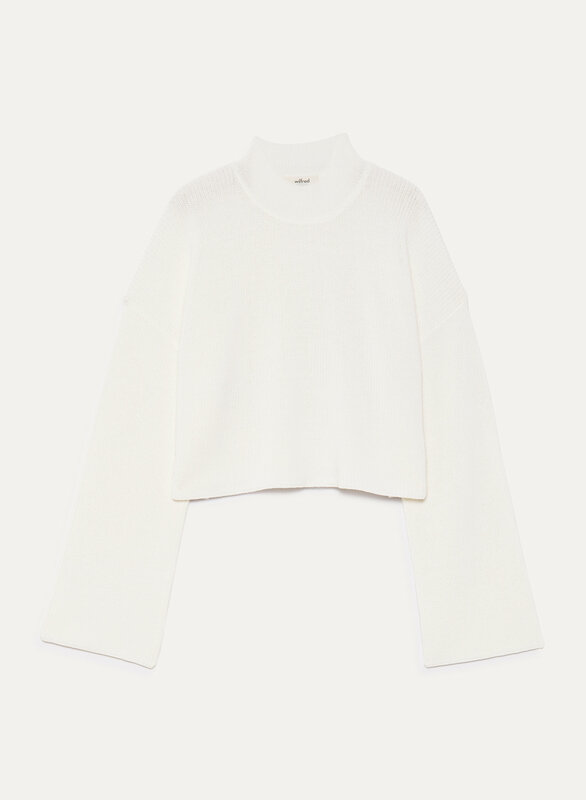 The mock neck silhouette has a cropped, boxy fit that pairs perfectly with high-rise bottoms. I got an XXS, my usual size in Aritzia sweaters, and I found that it was just a bit too short for a cropped shirt. I wish it was maybe an inch or two inches longer. I should have gone for an XS. other than that, great shirt and style. I saw this sweater on Instagram and fell in love! Can be worn dressed up or down and the neckline is so flattering. I sized up so that the crop wouldn't be as short and it was perfect! I ordered this product online in an XS. Loved the shape and the sleeves, but the pictures indicate that it is longer than it actually is. It realistically falls above the belly button. 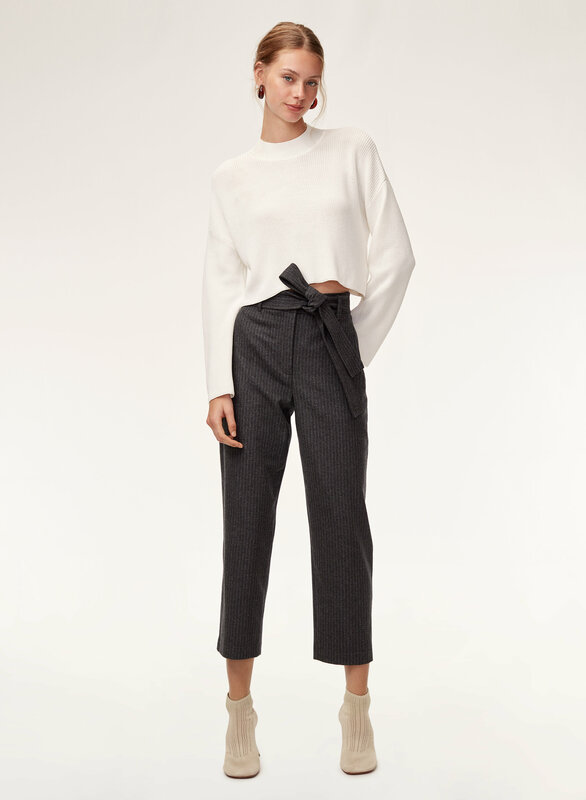 Great look with my high waisted pants with a bit of a flared leg. Great for an office look or a chic dinner look. This sweater is unique for sure. It's more cropped in person than I even realized, so I tend to wear it with a longer short or tank underneath. The fabric/knit is also rather heavy weight-wise, which does create a nice drape. Love the green color.